Still, some of us may be more inclined towards the privacy of our own homes. As citizens and residents of the heartlands, we should aim to bring back that joyful and interactive kampung spirit into our communities. Here are five ways you can strive to be a better neighbor and aim to be your own version of a friendly neighbourhood Spiderman (without the hero costume and webs of course)! As the saying goes, ‘change starts with you’. If we are unable to handle our own responsibilities as a homeowner, it’ll become difficult to handle or take on other responsibilities as a member of the community. Although these may seem like simple house chores, it’s a part of our responsibility as homeowners to respect our own area and the area surrounding us. 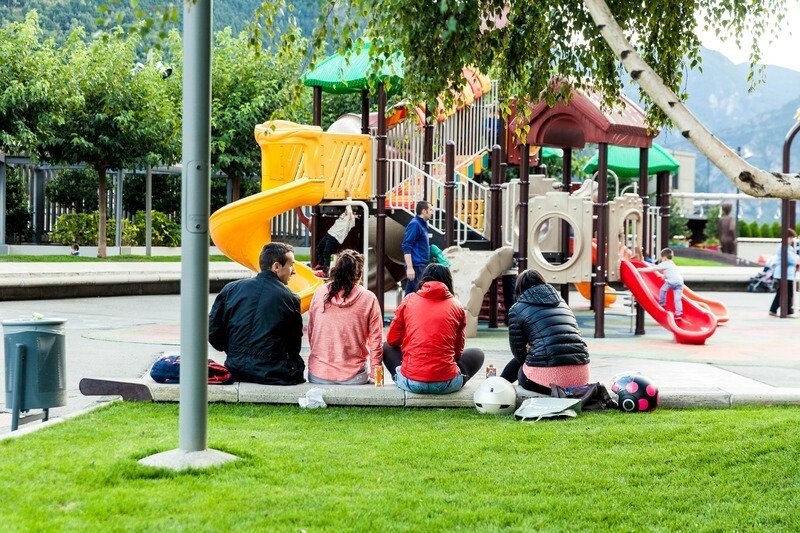 Playgrounds are one of the many shared spaces for our neighbours. We’re all living side by side and most likely sharing walls, facilities and areas around the neighbourhood. Our proximity may mean that whatever we do, our neighbours around us may be able to hear it. As such, show some consideration and ensure that you keep appliances or gadgets that tend to be noisier away from your shared walls. When using the facilities around you such as the playground, badminton court and other sheltered spaces, keep these areas clean and show awareness for those who may also be using it simultaneously. Some of these shared spaces may also have rules or restrictions, so do make an effort to abide by them. Always exercise kindness and be mindful of any property damage. Being a better neighbor doesn’t necessarily mean only looking out only for yourself, it also means going the extra mile to look out for others as well! Be it assisting your neighbours with a heavy load or looking out for the safety of young, these meaningful actions can help to establish trust amongst you and your neighbours. Feel free to provide assistance as frequently as you can, but remember to be mindful of your neighbours’ personal space. Be sure to make the most out of helping your neighbours by being sincere, doing it with a smile, and without expecting anything in return. Invite your neighbours frequently for a bonding session! 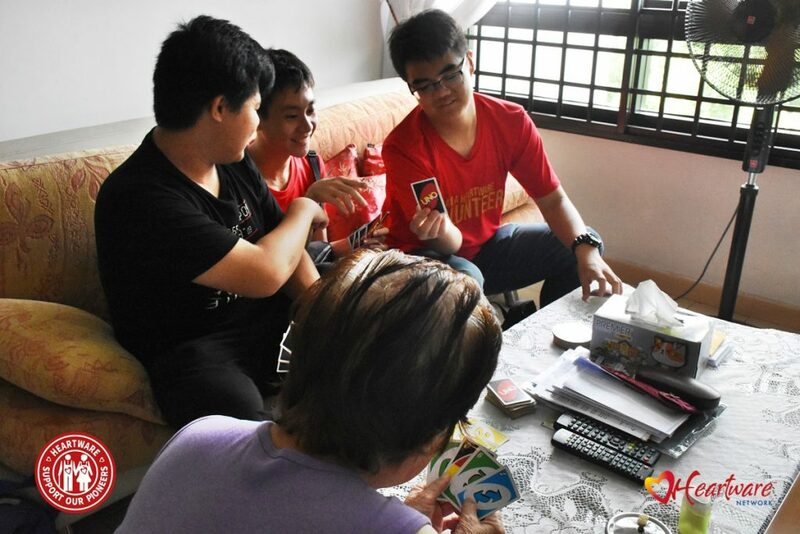 There’s no better way to lift the kampung spirit in your neighbourhood than to interact with your neighbours regularly! Find chances to invite your neighbours for a bonding session. This can be through a celebration during festive occasions, catching up on public holidays, or even just having a dinner together. Don’t be intimidated, a bonding session should be fun and convenient for both you and your neighbours alike. It never hurts to pick up a new pastime together or slow down the pace with a chat over some coffee. Find out some common interests and start from there! Big and little interactions alike, they all contribute to expanding your social circle and helping to further communal bonds within your neighbourhood. So don’t be shy, say hi! Volunteers, senior and her grandchild enjoying a round of Uno. Be active in your community, Volunteer! Volunteerism is the heart of community work in the neighbourhood and what better way to spread neighbourliness than to seek out volunteering opportunities? It’s a chance to interact and involve yourself with people, young and old alike. It’s also a great platform to communicate with others outside of our neighbourhood and to pick up hard and soft skills. There are many flexible volunteer-driven programmes in Singapore that strive for a good social cause. And if you don’t know where to begin, Heartware Network may be a good start. There are multiple opportunities for volunteerism, including Heartware Support Our Pioneers, which allows youths to bridge the generational gap between them and the pioneer generation. 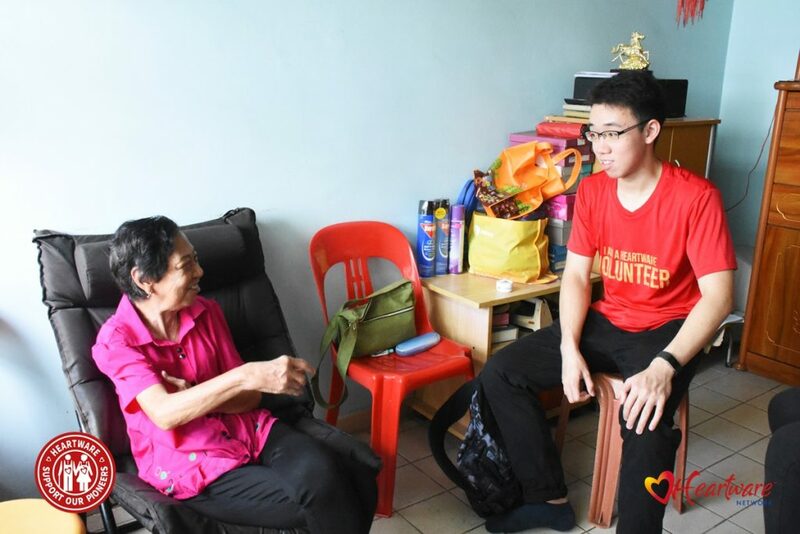 They are tasked to assist vulnerable seniors living in HDB rental flats who may struggle with everyday tasks and are to provide social and emotional support to them through bi-weekly home visitations. Volunteers having a good chat with a senior over tidbits served. Volunteers providing a listening ear to seniors living on their own. In fact, pick up any volunteering cause that you resonate with. Volunteering should come from the heart and it is part of our duty as a fellow neighbour and a citizen to be eager in spreading kindness and positivity. These are beneficial activities may not reflect an immediate impact that is visible to your life, but in the eyes of others across your community, it could just be the change that they need in theirs. With these tips you’re on your way to becoming a better neighbour and a more integrated member of your community!